Akhilesh K. Yadav*, S. K. Sahoo, J. S. Dubey, S. K. Tripathi, D. V. Sagar, A. V. Kumar, Govind Pandey and R. M. Tripathi, 2013. Temporal variation of SPM and PM10 and distribution of toxic metals around a beach sand mining site. Proceeding of National Symposium on Environment 309-313. ISBN: 978-81-7800-287-3. 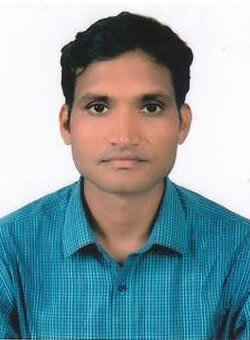 Arun Kumar Mishra*, Prabhat Srivastava, Patil R. S., Akhilesh K. Yadav, 2013. Variation of Noise level in the surrounding Areas of an Upcoming Airport. Proceeding of National Symposium on Environment 325-329. ISBN: 978-81-7800-287-3. Indresh Singh, Akhilesh K. Yadav*, Govind Pandey and Shiv Nath Sharma, 2013. Material as a Replacement of Cement Utilization of Fly Ash in Cost Effective Construction. Proceeding of National Symposium on Environment 416-419. ISBN: 978-81-7800-287-3. GATE 2012 - Graduate Aptitude Test in Engineering is Qualified in Civil Engineering. GATE 2011 - Graduate Aptitude Test in Engineering is Qualified in Electronics and Communication Engineering. Oral presentation on topic of “Temporal variation of SPM and PM10 and distribution of toxic metals around a beach sand mining site” in Eighteenth National Symposium on Environment at DCE, JNTUA College of Engineering Anantapur (A. P.) in 11th March 2013. Current Perspectives on Environment Protection conducted by DCE, JNTUA College of Engineering Anantapur and Health, Safety and Environment Group, BARC, Mumbai at DCE, JNTUA College of Engineering Anantapur (A.P.) in 11th 13th March 2013. Embedded System and VLSL Design in Robotics conducted by International Institute of Information Technology, Pune at Radha Govind Engineering College Meerut (Uttar Pradesh) in 19th Feb 2007 to 20th Feb 2007.